Just when you think the US debt debacle can’t get any worse, ratings agency Moody's warns it could downgrade the United States credit score before 2013. Moody’s threat centers on if the US’ fiscal or economic stance declines drastically. On Friday Standard & Poor’s downgraded the US’ credit rating from AAA to AA+ andblamed the downgrade on the political stalemate in Washington. S&P’s belief is that US government has got to a point where it would not be able to cope with deteriorating deficits. Unlike S&P, Moody's is willing to give the US government more time to undertake its money problems. Moody's believes the US "continues to exhibit the characteristics compatible with an AAA rating" even though the US government's debt metrics in the years to come forecasts more downward trends. "Last week's agreement suggests that coming to an agreement that would meet this criterion by early 2013 will be challenging, given the political polarization, but not necessarily impossible," Hess expressed in his report. Although challenging, Moody’s anticipates a new debt agreement in Washington will reduce the deficit before 2013. 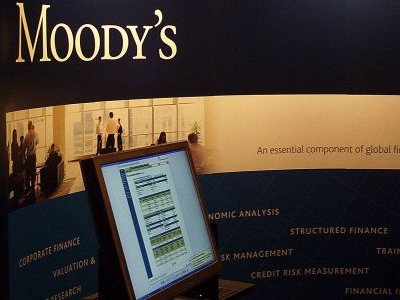 Moody's said in a statement that the only reason it did not change the US’ AAA credit rating on August 2ndwas because it was agreed that further cuts would be made. For some it is questionable if US lawmakers will see eye to eye on additional budget cuts. S&P and Moody’s have different views on whether or not the US will resolve its financial issues. "Over time, this status could be threatened if further measures to address the long-term fiscal situation are not adopted, but it is early to conclude that such measures will not be forthcoming," Hess stated.